I was reminded again how important it is to have control of your local search listings. Google will pick up business information from multiple sources and list it as a fact. A client of mine has an office in their home as well as a “real” office location. 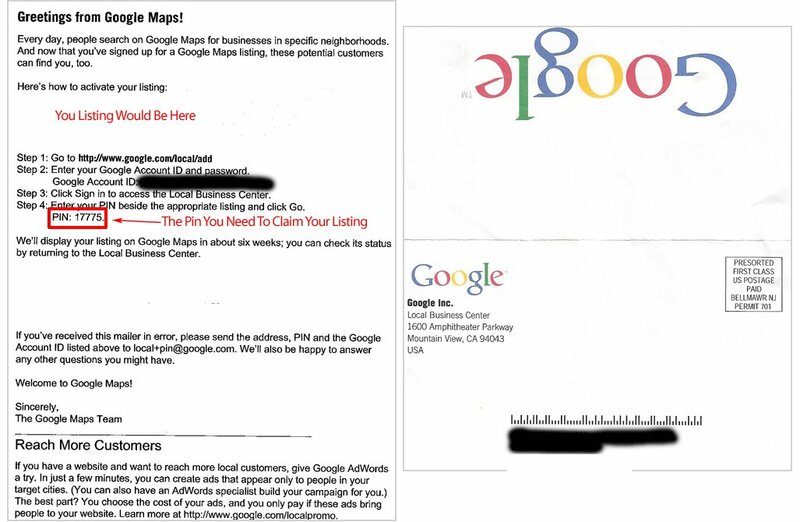 Google, unfortunately, picked up both so now this client’s home address is listed. Luckily once claimed an address can be removed from Google Places but claiming that listing can take time, especially if Google lists the wrong phone number. 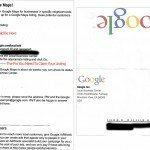 You have two options to claim your listing, Google can mail a postcard to you which takes about two weeks, or they can try calling the phone number THEY have on file for your business. If you have a client and you’re trying to claim their local listings for them, you’d better first take an inventory of the information Google has about the locations and confirm that the client can be reached by those means. Also, make sure that if you’re using the phone option that someone at the location is aware that the call is going to come in. The phone option only works well when one person answers the phone 100% of the time. If the client has a phone system that “hunts” it’s best to just mail a postcard and wait. I’ll be talking more about local search in the future including what you can and cannot change, how the search engines go about finding your company information, the differences between Google, Yahoo, & Bing, as well as how you can get the most out of your local listings. I came across a great example of why you need to claim your company’s listing. I was looking around for a jeweler to replace the battery in one of my watches. The watch is kind of fancy and requires someone who knows what they are doing. 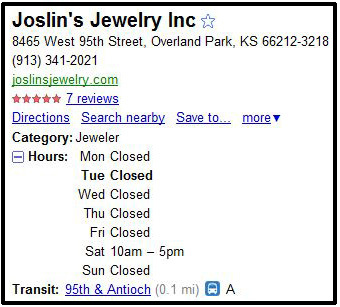 While looking, a result came up for a jeweler nearby but the listing said they were closed. I looked a little deeper and the local result said they were closed the whole week! I called them and contrary to the information provided by Google, they were in fact open. At the end of the call I told them about the issue with their Google Places listing and I hope they take action to resolve the problem. Below is a screenshot of their listing. Don’t let Google lie to your customers too! Claim your listing!